This leather-cased set is made up of three flush-fitted crystal flasks with a set of numbered steel cups that double as position finders. 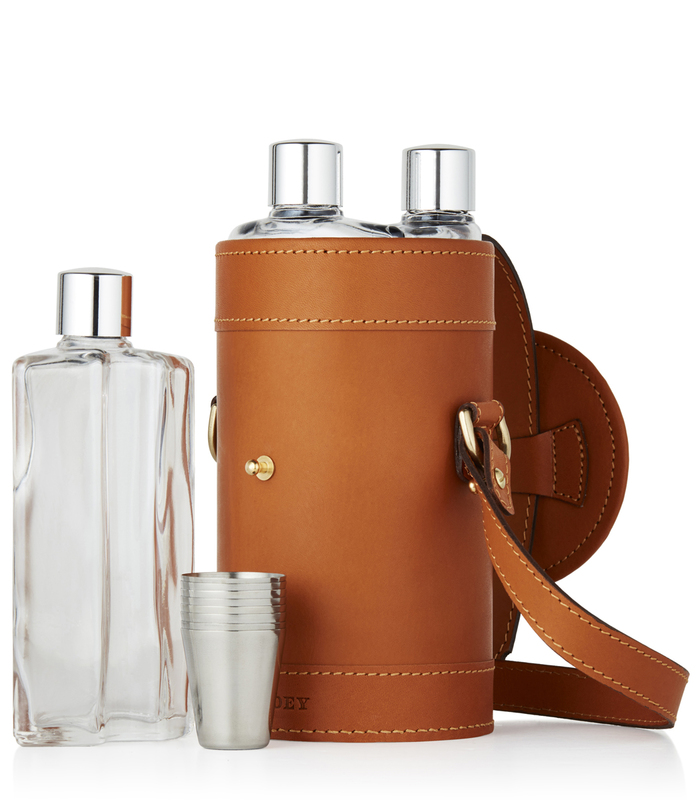 The cups are etched with the Purdey Starburst and the hand-stitched, vegetable-tanned leather case comes with shoulder carry strap and is finished with brass fittings. Perfect for housing a selection of whisky, brandy or gins for a day out in the field! Each flask holds 185ml (6.5oz), 555ml (19.5oz) total.